We have been in handpiece repair and sales for over ten years. Type Air Scaler Tip. Test our products once and realize the improved quality. Connection Type N/A. We are very reasonable people and want to be fair. SICKLE 204S : Item Code S1303-1304. Usage: Left Hand or Right Hand. “No Compromises on Quality”. Material: AISI 420 French Steel. Autoclavable : Yes. Reference: SCNEVI49. - Increased shank rigidity provides for effective removal of burnished, heavy and tenacious deposits. Dental Sickle Scaler Anterior - Towner - U15-33 . Reference: SCNEVI29. A unique contra-angle design great for interproximal reach and ergonomic hand positioning. Reference: SCNEVI19. - An elongated disk end for anterior lingual stain and calculus Nevi 1 removal paired with a super thin, anterior curved sickle. Our products are trusted by thousands of doctors worldwide. In addition Surgical Pros Incorporation is accredited toCE, ISO 9001, ISO 13485, and Other. Just send us an. Non Slip Grip Premium Quality Handle. Usage: Left Hand or Right Hand. SICKLER 23. TECHNICAL SPECIFICATIONS. Autoclavable : Yes. Reference: SCNEVI39E2. 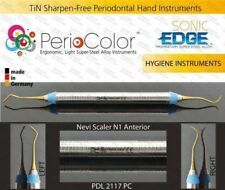 - EverEdge 2.0 scalers are the sharpest and longest-lasting scalers on the market. Dental Periodontal Oral Surgery Kit. Retractor & Mouth Gags. Dental Syringes. Dental Practices / Dental Students. Lucas Curettes (Double Ended) (Set Of 4). Learn more. If that is the case, we will notify you within 24 hours. MINI SICKLER. Usage: Left Hand or Right Hand. “No Compromises on Quality”. TECHNICAL SPECIFICATIONS. Autoclavable : Yes. Columbia Curette blade designed with two cutting edges and a rounded toe for use on all surfaces. EverEdge 2.0 scalers are the sharpest and longest-lasting scalers on the market. Universal application. Sickle Scaler (Double Ended). Dental Syringes. 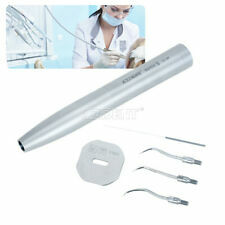 Dental Anterior Towner Tartar Remover Scraper. Dental Practices / Dental Students. We will work with you to resolve any issues. It is the quickest way to reach us - we respond typically within 24 hours. McCALL 13S-14S. Usage: Left Hand or Right Hand. “No Compromises on Quality”. Material: French Stainless Steel. Autoclavable : Yes. LUCAS BONE CURETTE 87. WHOLESALE INQUIRIES. Reference: SCNEVI19E2. - EverEdge 2.0 scalers are the sharpest and longest-lasting scalers on the market. - A super thin, anterior curved sickle. Double-ended, easy-grip handle. GRACEY CURETTE, MINI 1-2. Usage: Left Hand or Right Hand. “No Compromises on Quality”. TECHNICAL SPECIFICATIONS. Autoclavable : Yes. 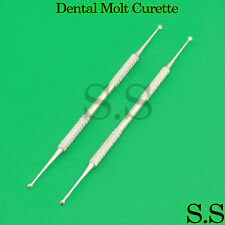 Molt Bone Curette #2/4 Double End. Stainless Steel. 100% High Quality. 13- Padded FR Envelope. 30 - RegionalBox A. Airless Paint Spray. PC CPU Fan Heatsink. Auto Display Parts. 8 - FR Envelope. Simple operation. Shank angulation provides accessibility to all anterior and premolar surfaces. Double-ended, easy-grip handle. stronger and longer-lasting Stainless Steel. Product features. 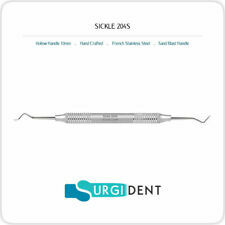 S204S Sickle Scaler. #9 EverEdge Handle. Available in EverEdge® Technology, a revolutionary stainless steel alloy that is super-durable to stay sharper longer. 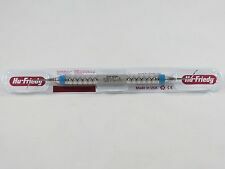 Curette Gracey EverEdge No 13 / 14. - Gracey curettes are designed to adapt to a specific area or tooth surface. - An optional Rigid shank is available on all of the Gracey designs. - Mini Five curettes with After Five features and a shorter blade, and the 15/16 and 17/18 patterns. 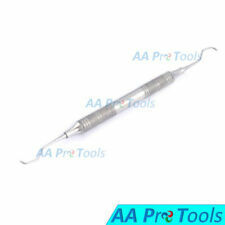 • Universal contra angle, double-ended sickle scaler. Manufacturer : Paradise Dental Technologies. YOUR #1 DENTAL SUPPLIER. Jacquette Scaler H5 Hygienist/33 Resin 8 Colors Hand. Super-thin sickle scaler combined with a straight sickle blade. Very effective for scaling interproximal and cervical areas of anterior teeth. Resin 8 Colors Hand. (wind shaped, round polished ending, 1 End 2,1 mm, 1 Ende2,4 mm, total length ca. 17 cm). (1 Round polished ending, 1 wind shaped round polished, total length ca. 17 cm). (wind shaped, round polished ending, 1 End 1,25 mm, 1 End 1,35 mm, total length ca. 17 cm). Thinner for superior interproximal access. Resin Sunshine Yellow handle. Lightweight, 13 gram. "The sale of this item may be subject to regulation by the U.S. Food and Drug Administration and state and local regulatory agencies. JACQUET TOWNER. “No Compromises on Quality”. 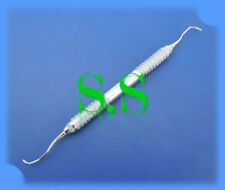 Sickle Scaler H6/H7 Double Ended Non Hollow Handle designed for the removal of supragingival calculus. Our products are trusted by thousands of doctors worldwide. Non Slip Grip Premium Quality Handle. CARE FOR YOUR HEALTH. CHOOSE THE DEAL AND COMPARE PRICES. Vector Super Sonic Air Scaler connects to existing2 HOLES. any air scaler on the market. Get "Cavitron" type power with the convenience of an air scaler and. Scaling handpiece 1. Model: NSK style AZ2000-B2 /AZ2000-M4. #9 EverEdge Handle. 17/18 Mccall Curette. McCall curette designed for the removal of supragingival calculus. 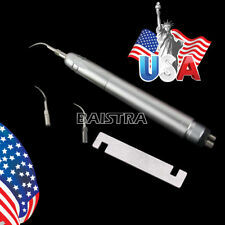 Dental Ultrasonic Scaler Perio Scaling Tip G1 For EMS/WOODPECKER Handpiece. Compatible with EMS & Woodpecker. Scaling tip: G1-G5. G1 Remove calculus and bacterial plaque on supragingival, neck of teeth and hard calculus on the teeth point. Reference: SCNEVI29E2. 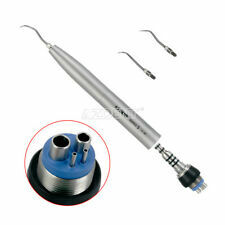 - EverEdge 2.0 scalers are the sharpest and longest-lasting scalers on the market. Contra-angle design. Double-ended, easy-grip handle. Designed to adapt to a specific area or tooth surface. blade is 10% thinner than standard Gracey curette to allow for less tissue distension when accessing deeper pockets. EverEdge 2.0 scalers are the sharpest and longest-lasting scalers on the market. Our production process has attained ISO 9001:2008, ISO 13485:2003 certification, cGMP compliant and CE certification. Always Best Quality! MAIN PRODUCTCATEGORIES. DETAILS &POLICIES. HIGHEST PRODUCT QUALITY. Handle #9 EverEdge. 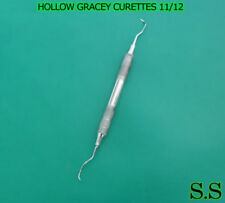 12/14 AFTER FIVE GRACEY CURETTE.